​After our initial Approval and a great start to the year with SSGC we look forward with great excitement to building our relationship over the coming years. 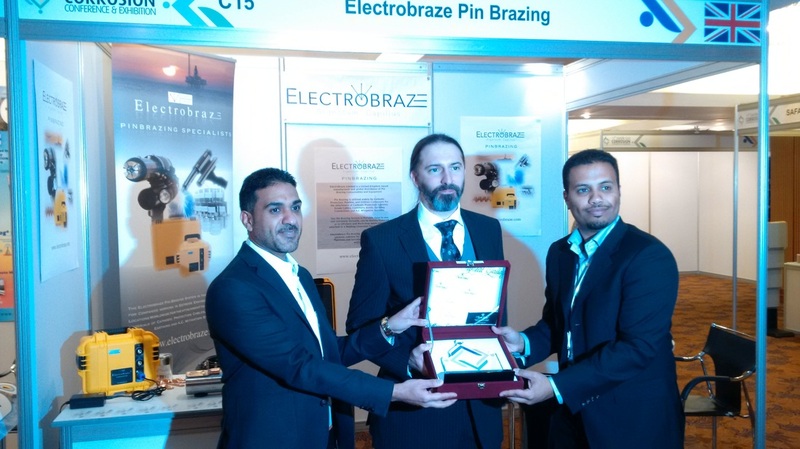 Electrobraze Pin Brazing Receives Huge Interest at the 16th Middle East Corrosion Conference and Exhibition, Bahrain. Held on February 8th- 11th 2016, at the Gulf International Convention Center, Gulf Hotel in Manama, Kingdom of Bahrain. The 16MECC is organized by NACE Dhahran Saudi Arabia Section and the Bahrain Society of Engineers hosted over 80 Exhibitors running concurrently with the conference and providing a stage for the latest developments in products, solutions and methodologies in the Corrosion Control and Cathodic Protection industry. Alstom recently signed an EPC (engineering, procurement and construction) contract worth approximately €500m with Dalia Power Energies Ltd to build the 835 MW gas fired Tzafit power plant in Israel. The project represents Alstom’s first entry into the Israeli gas market and will be the country’s largest privately-owned power station. In the coming weeks, Alstom will sign a twenty-year O&M (operation & maintenance) agreement, covering day-to-day operation and maintenance at the plant. The EPC contract, currently underway, covers the supply and construction of two 417 MW gas fired combined cycle units as well as associated civil works, balance of plant, Alstom’s distributed control system (DCS) Alspa Series 6 and switchyard equipment to connect the power station to the grid. Each unit is based on Alstom’s KA26 single-shaft configuration, containing Alstom’s GT26 gas turbine, steam turbine, generator and heat recovery steam generator (HRSG). The power plant, located 40km south-east of Tel Aviv, will be commissioned during 2015. It will add 835 MW to the national grid, which corresponds to about 7% of the country’s installed power generation capacity. Tzafit’s location at the intersection of the national electricity grid will enable the plant to feed electricity to both the grid’s northern and southern sections, increasing the reliability of electricity supply to end users. The Israeli government is encouraging investments by IPPs (independent power producers), while the recent discoveries of major gas reserves near the Israeli coasts is likely to encourage investment in gas fired combined cycle power stations. 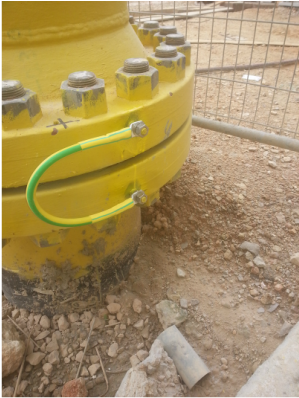 Electrobraze Pin Brazing has been utilised widely throughout the project for Earthing, continuity bonding and various Cathodic Protection works since late 2014. About Alstom Alstom is a global leader in the world of power generation, power transmission and rail infrastructure and sets the benchmark for innovative and environmentally friendly technologies. Alstom builds the fastest train and the highest capacity automated metro in the world, provides turnkey integrated power plant solutions and associated services for a wide variety of energy sources, including hydro, nuclear, gas, coal and wind, and it offers a wide range of solutions for power transmission, with a focus on smart grids. The Group employs 93,500 people in around 100 countries, and had sales of over €20.9 billion in recent years. 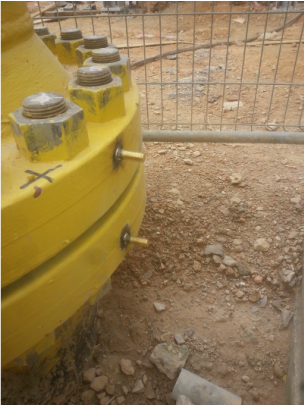 Technip, leader in a joint venture with Chiyoda, has recently been awarded by Qatar Liquefied Gas Company Limited (Qatargas (1)) an engineering, procurement and construction contract for the Plateau Maintenance Project (PMP) in Ras Laffan, Qatar, of which Electrobraze Limited is now very pleased to be associated. The scope of this contract includes a new acid gas removal unit, a new sulphur recovery unit, and modifications to utility systems for handling increased feedgas rates to the existing liquefied natural gas (LNG) trains. The contract is scheduled to be completed in 2013. (1) Qatargas 1, a joint venture composed of Qatar Petroleum, Total, ExxonMobil, Mitsui and Marubeni, has been operating three LNG trains since 1996. These trains are currently producing 10 million tones of LNG per annum. Chiyoda Corporation, headquartered in Yokohama, Japan, provides services in the fields of engineering, procurement and construction on a global basis for gas processing, refineries, and other hydrocarbon or other industrial plant projects, particularly Gas Value Chain projects, in the Middle East, Russia, Africa, South East Asia, and Oceania regions. This is a great achievement for Electrobraze Pin Brazing and the Electrobraze brand as we continue to gain growing support throughout the Middle East region. Gasunie is a European gas infrastructure company. Providing the transport of Natural Gas and Green Gas in the Netherlands and the northern part of Germany. With the valued support of Korf KB and after extensive and rigorous testing under Exova, the world’s largest dedicated testing group, trusted by leading organisations to test and advise on the safety, quality and performance of their products and operations, Gasunie have provided product Approval for Electrobraze Pin brazing Systems, which are now in active use upon their European Pipeline grid. Being an important source of energy in north-west Europe, gas must get to the end-user safely and reliably, Gasunie have a high-grade gas transmission grid and their customers use this grid to transport gas on to end-users, although some end-users are also directly connected to the grid. All activities are geared to facilitating the market in both the industrial and the domestic gas markets in the Netherlands, Germany and further afield. This varies from providing gas transport to constructing new infrastructure or participating in new projects to develop new services. All activities follow trends and requirements in the market closely, as their main aim is to be able to offer customers the best standard of service possible. Gasunie also provide the market with gas storage facilities (Gasunie Zuidwending), the pipeline to England (BBL) and the LNG terminal Gate at Maasvlakte. In addition, they facilitate and stimulate the "green gas" market through their daughter company Vertogas. Producers and traders in "Green Gas" can also turn to Gasunie to use their subsidiary Vertogas for certification of their "Green Gas". Having worked closely with Gasunie over recent years we are very excited to have been given the opportunity to work along side such a successful and progressive organisation. We would like to wish all of our much valued friends and customers who have supported us throughout 2012 a very Merry Christmas and a Happy New Year!! Welcome!! Hopefully you will find this easier to navigate and get all the information you need a little quicker, from Embedded Documents, High Resolution Product Images and Technical Links, to our all new On-line Store! We also hope to use this Blog page to feature all our latest News, Product and Event Information, and invite you to comment and add your experiences wherever possible. We sincerely hope you enjoy our new Website.